Why these two? Why now? 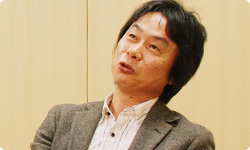 What were the thoughts behind this, Miyamoto-san? Well, there were several reasons. One major reason was that, at the time, we’d barely gotten the games to move in terms of polygon counts or wireframe processing. Yes, you couldn't do more than that back then. I felt that I wanted to aim higher. You mean you'd always wanted to remake them some day? I had, yes. But, you know, timing's a difficult thing. We couldn't re-release them too soon. So, well.... How many years has it been since then? Ocarina came out in 1998, so about thirteen years. Right. After about that much time has passed, there's a new generation and, naturally, today's primary and young secondary schoolers don't know a thing about Ocarina. The people who played on the Nintendo 64 in primary school are already in their mid-twenties. So I thought it was probably okay to remake them now. That was one reason. Aha.... Of all the things you've created so far, you wanted to see Hyrule's scenery in particular. Right. In all honesty, wanting to get that sense of really "being there", in 3D, was a very big factor behind this. I found the idea that you'd remake Star Fox 64 very easy to understand. I could imagine it right away: if you put that game on the Nintendo 3DS hardware, with that new 3D depth, the gameplay itself would really come to life. But I did wonder why you'd chosen Ocarina. 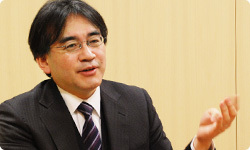 Yes, that's true; what you've just said about Star Fox 64 was a big reason. In that game, the more you understand the depth and distance, the easier it is to play. I don't mean that it gets easier to clear - it just feels much better when you're shooting at floating objects, or passing through things, or picking up items. Yes, it really does. Going through the hoops is like that, clearly. It's as though it has actual, physical benefits. And that does make things more fun to play. On the other hand, with Ocarina of Time, there's that sense of being there that you mentioned. That's right, I'm really happy with that sense of presence. Then, in terms of what felt great to make, I really like how it works when you switch between items in the Nintendo 3DS version of Ocarina of Time. Something I always say to the people working in the development forefront is that the history of The Legend of Zelda series is a history of interfaces. In other words, one of the series' big themes is how to express operations that use a lot of items simply and without stress. One of the greatest things about playing The Legend of Zelda games is that by learning only a few things first, before you know it, you're naturally able to do all sorts of things. That's right. In the Nintendo 64 Ocarina, we made it so that three of the C buttons on the controller could each be assigned to an item. That includes switching maps and menus; it's very pleasant to use. They feel good when you use them. In other words, you began this remake because you wanted to see Hyrule in 3D, and because you wanted to improve the quality of Ocarina of Time. As you actually worked on it, though, you also made big improvements in ease of play.